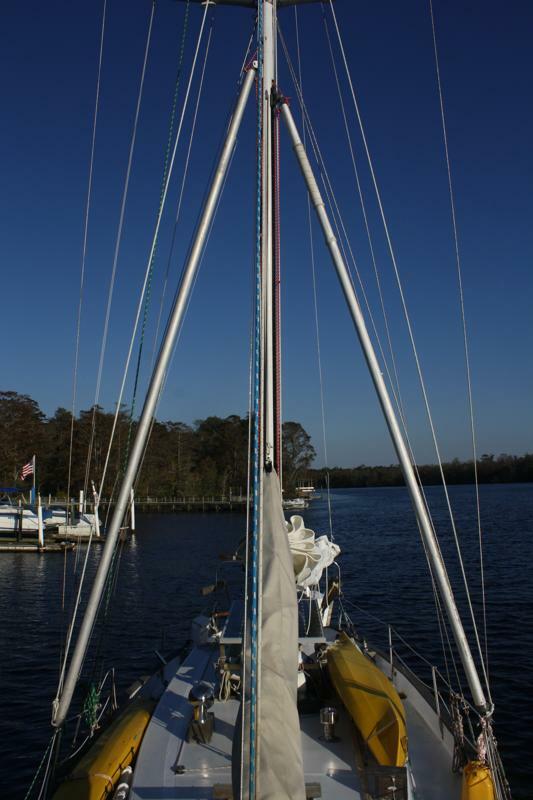 This entry was posted in Uncategorized and tagged aft guy, aluminum track, consignment, fore guy, hurricane jack 's, new bern nc, occ, ocean cruising club, spinnaker pole, topping lift, twin pole rig, twin poles, twin spinnaker poles by stephanie. Bookmark the permalink. That is very well done! Should make riding the trades a breeze. I wish you would have told me you were looking for lines when you were up here. 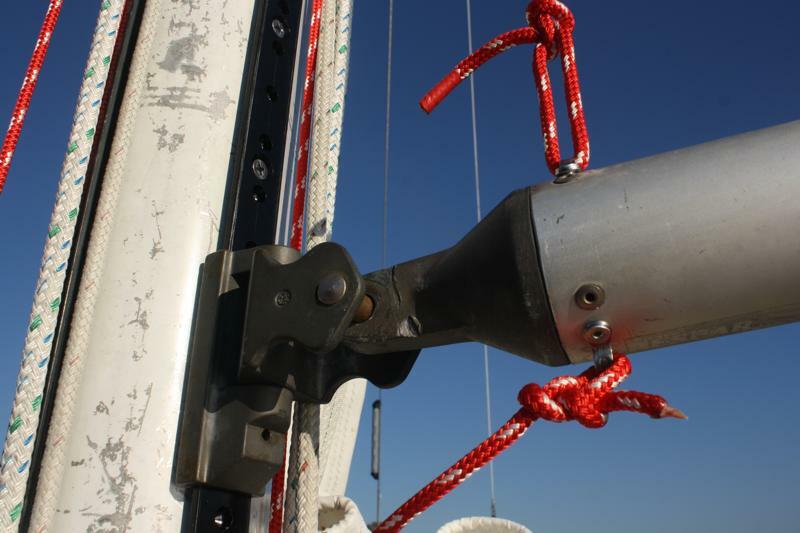 I have Solstice’s complete spinnaker set up, minus the pole, just sitting there. I am never going to use it….as a matter of fact, we put her up for sale. We are looking for something a little more capable for the future. Ship shape and Bristol fashion. Looks super guys! New Bern is “home” to us….and we were frequent flyers at Hurricane Jacks too! We kept our boat at the Bridgeton Harbour Marina nearby. Glad to see you were able to get your updates done with some creative thinking and spending! I wish we were looking for lines when we were up there (haha). Bummer! We’ll miss Solstice, but we’ll look forward to your next venture boat too. Make sure there is plenty of room in the galley for brewing! Thanks, Grey. Can’t wait to see the headsails flying off these babies! 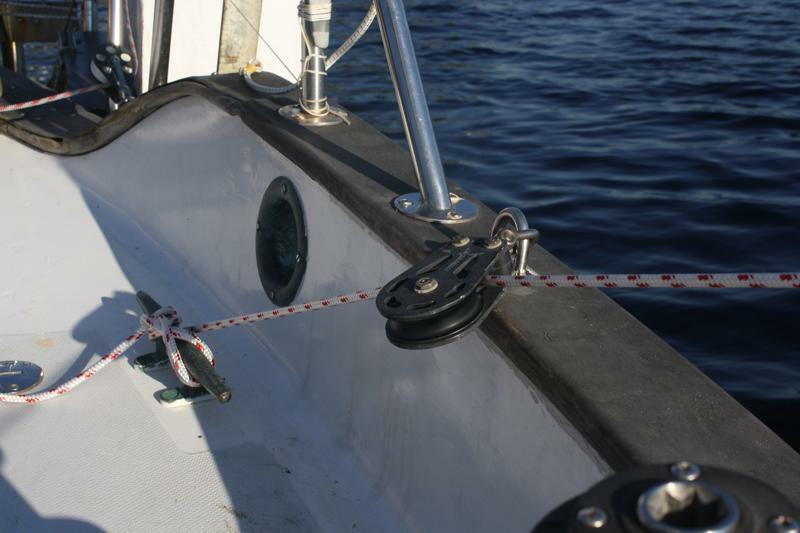 We visited that boatyard, where Tom hooked us up with a fantastic lightweight genoa. New Bern was good to us! Wow this is a great blog and has made me feel truly wonderful for giving you the idea of the twin poles. I promise that you will love them when going down wind in the trades. 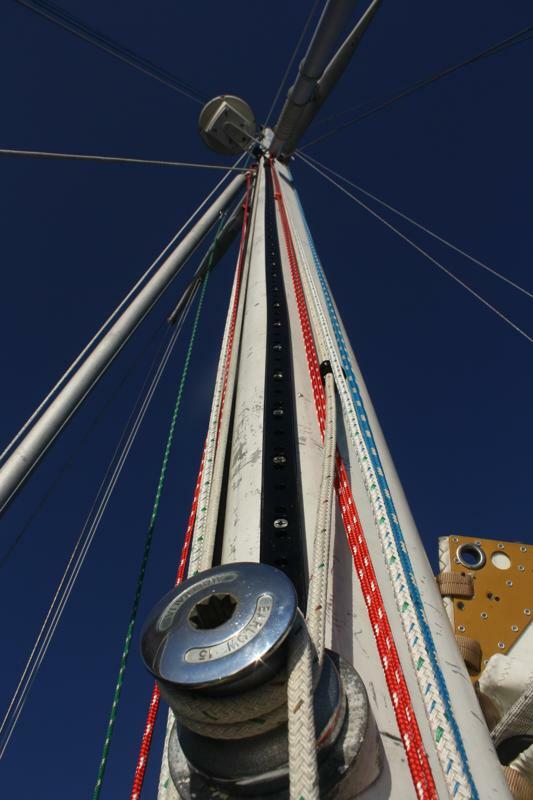 Unfortunately, Kitty and I will not be able to take Tamure south this winter and today I was getting her read to be hauled and part of that was to take the twin poles down off the mast. I only wish we could have caught up with you on your way south. However, we will be taking a road trip (in our car) down to West Palm Beach beginning about Nov 4th or 5th, so maybe we will catch up somewhere along the way. We couldn’t have done it without you, Scott! We are anxious to give the poles a try and we’ve even got a new (used) lightweight genoa that we hope will come of use in light air. 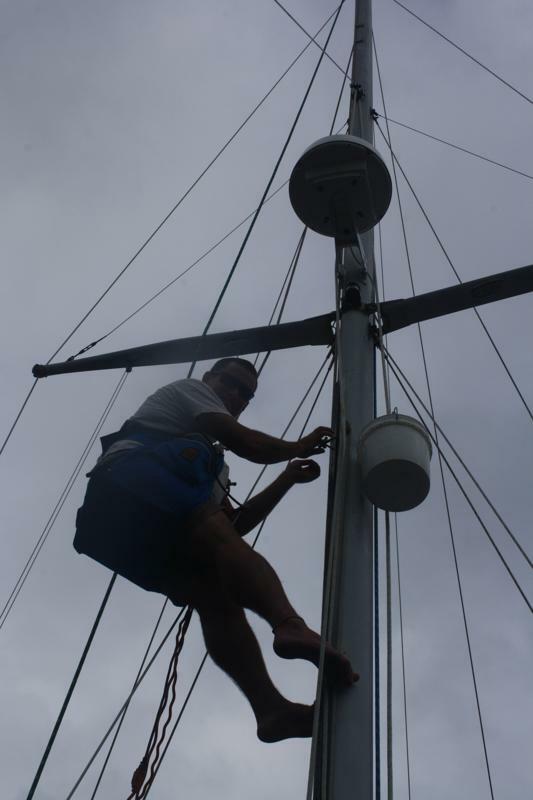 We are presently anchored at Wrightsville Beach, NC waiting for a good forecast to jump to Abacos, Bahamas. I think we might miss you, but have fun on the road trip and we’ll keep you posted of our travels!